These Shielded Cat5 patch cables are perfect for connecting computers to a network. Will support up to 100 Mbps transfer rates. Shielded for high EFI noise environments. Cat5 Shielded patch cables offer you the benefit of 100Mbps communications with the added durability of a shielded cable. Each RJ-45 connector is shielded to protect against EMI/RFI interference and is of the finest quality with 50 Micron gold plated conductors. 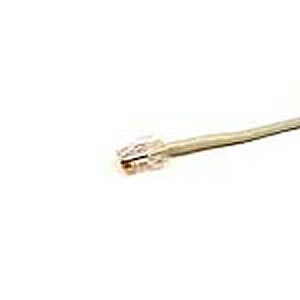 These cables comply with EIA/TIA 568A, TSB-40A specifications and are UL rated.